They’re Mermaid Shoes for feet-havers! 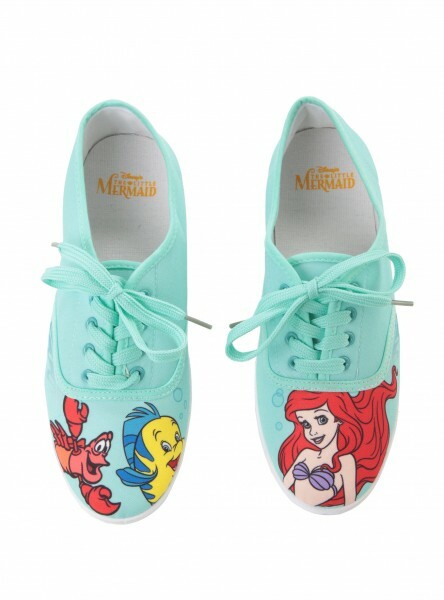 Anybody with toes who loves ’em some Ariel will get a kick out of these cool, minty Little Mermaid Sneakers! These cute, lace-up sneaks are the perfect accessory for warm summer days and breezy sundresses! They come in sizes 6-10 and are on sale for $17.50 if you hop on it right now! Oh I NEED these! I just wish they weren’t that mint color. Ariel always gets that mint color and it looks awful on me.